Students from the Business (Team Entrepreneurship) course at Bishop Grosseteste University (BGU) in Lincoln will present a workshop at the inaugural TEDx Youth Brayford Pool on Saturday. The team are running a workshop titled ’10 minutes to make 10k’. They will be using an innovative learning model for entrepreneurship to challenge understanding of business and idea creation in the modern world. 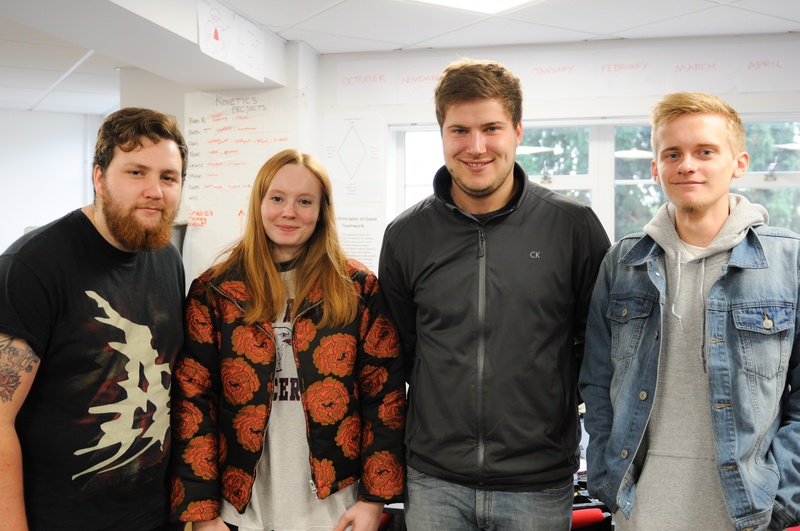 Will, Max, Beth and Lewis are a group of students who run a registered company, Kinetic BGU Ltd, as part of their degree programme at BGU. Their business projects have included an Italian coffee brand, men’s grooming products, a low-cost supermarket and container fabrication service. They are all individualistic and have different goals in life, but through a modern learning process have come together as a cohesive, efficient and ever-evolving team. Find out more about studying Business at BGU. Lecturers from Bishop Grosseteste University (BGU) in Lincoln will speak at a new TEDx event this October.